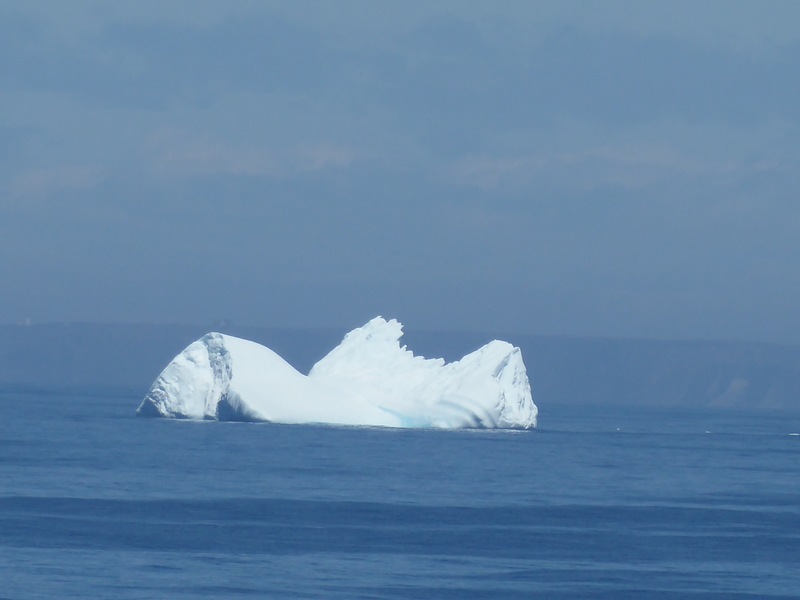 Off the coast of Newfoundland. Icebergs spotted in the distance. This entry was posted in At Sea, June. Bookmark the permalink.